Round neck top by MARGITTES. Short sleeves with turn-up. 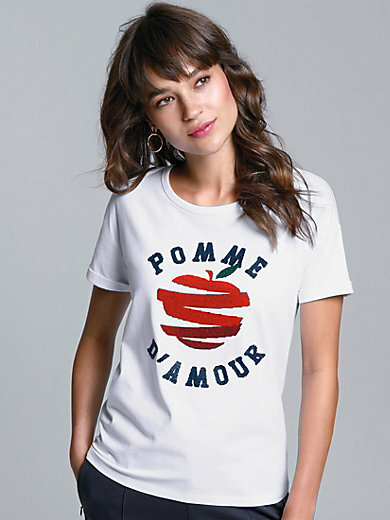 This basic top has added "wow" effect thanks to the eye-catching XXL sequin apple motif on the front with POMME D’ AMOUR logo. 92% cotton, 8% elastane. Length approx. 25ins. The round neck top is machine washable.